Can I customize the layout for the camera cards? 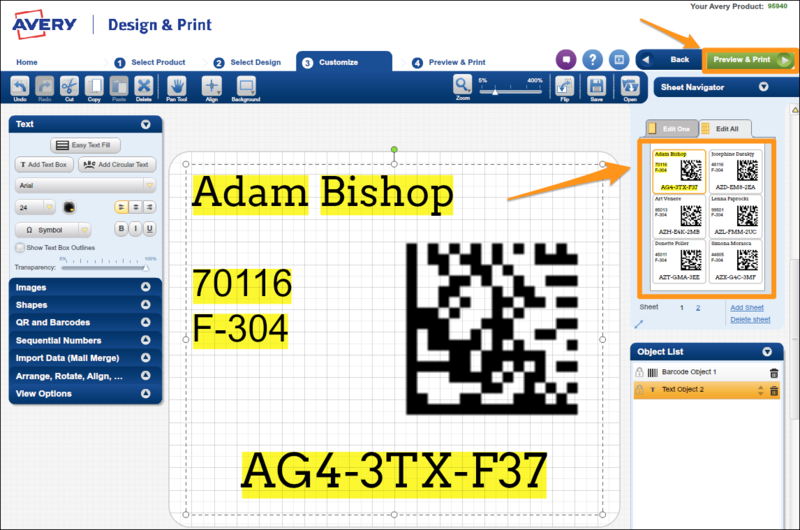 Snapizzi has made it easy for you to embed our Data Matrix codes into customized labels, tags, badges using free Design & Print software from Avery. 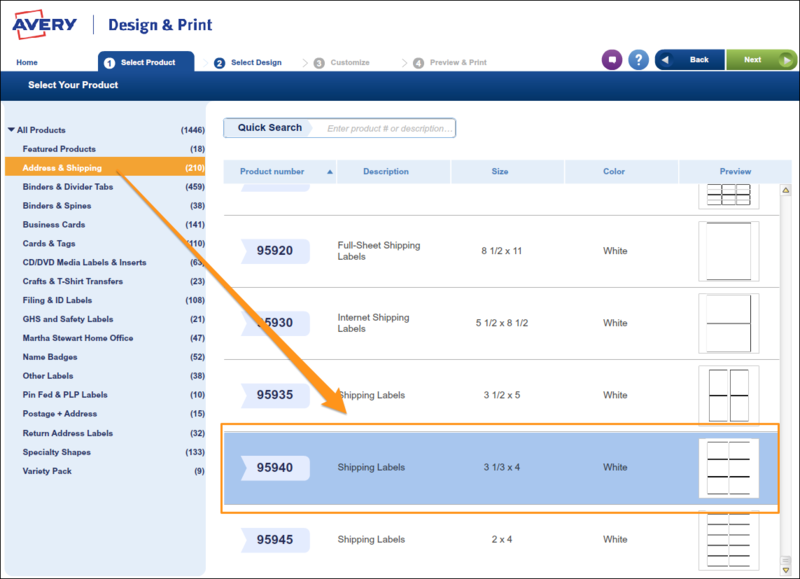 This doesn't mean you have to print on Avery products only. You can use the Avery templates to fit any end use you'd like. Here is the online version of their software. 1. Upload your CSV file to your Data Project. 3. 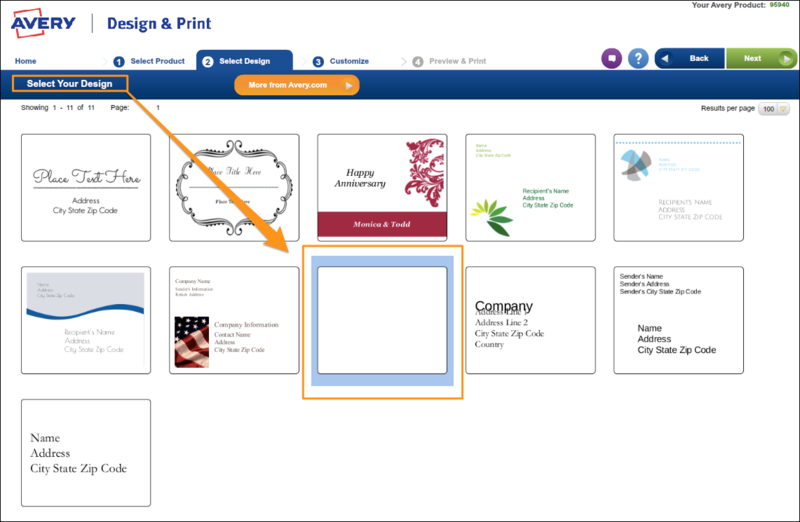 Open Design & Print and choose your layout. 4. Choose the design for your layout. 6. Select "Data Matrix" as the format and click “Merge" to import your CSV Subject list. Snapizzi uses Data Matrix codes, not QR codes. There is a difference so be sure to select Data Matrix as your format. QR codes are not readable by Snapizzi. 7. Upload your CSV Subject list. 8. 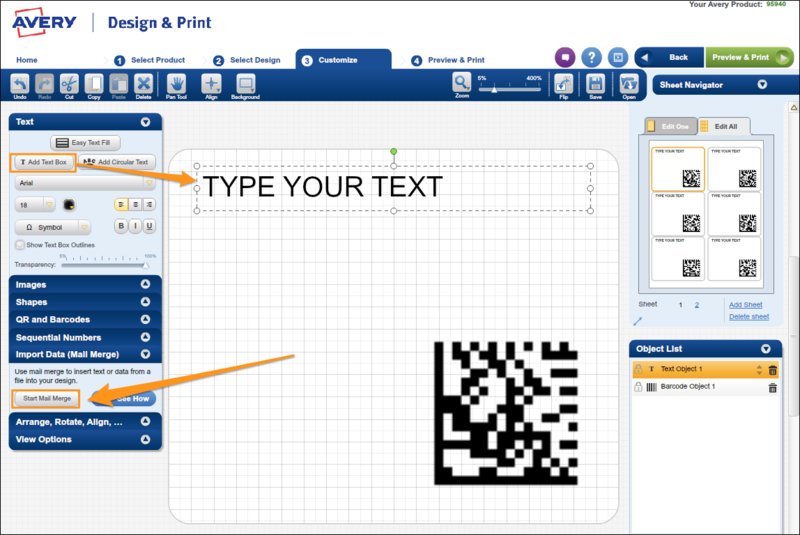 Drag "Snapizzi Subject Code" to the “Text Content” box and click “Finish”. 9. Adjust the position of the code (keep as large as possible to ensure proper scanning). Select “Add Text Box” and the “Start Mail Merge”. You can use one text box for all the data, or create a separate text box for each field. If you choose separate fields for each, you’ll need to repeat this process for each field. 10. Select the fields to include in your layout and then “Complete Merge”. 11. Drag the fields to include and arrange their order. 12. 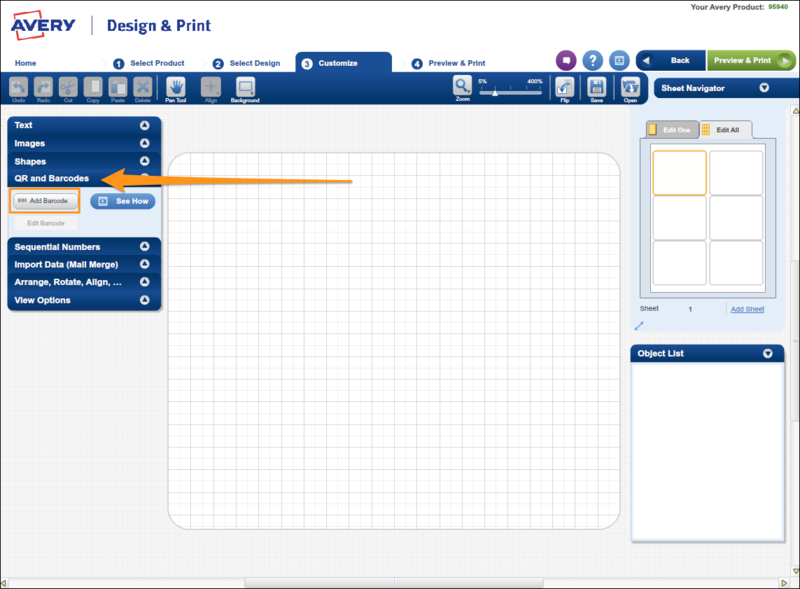 Adjust field positions to suit your design and then “Preview & Print”. 13. That’s it! 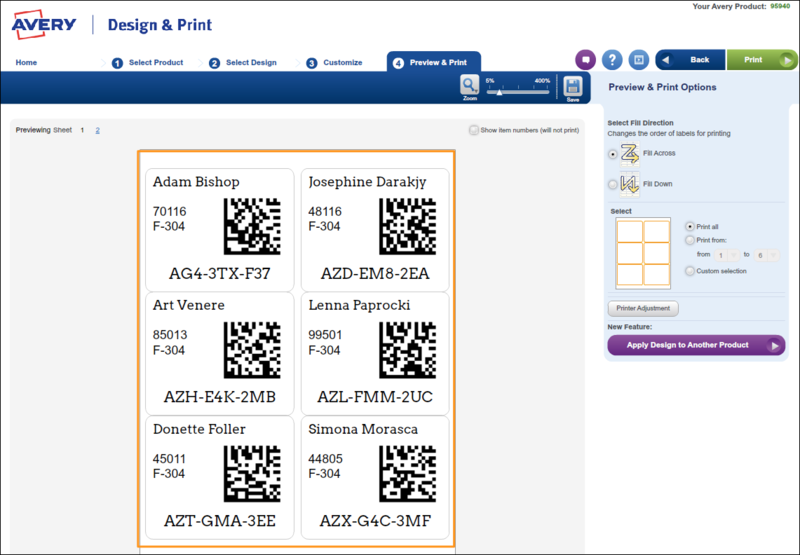 We suggest that you run tests on your custom design to ensure accurate scanning by Snapizzi. Remember to print the Data Matrix code as large as possible. Whatever format your cards are, ensure that you photograph the codes so that Snapizzi can scan the DataMatrix code properly. We recommend the codes be a minimum of 100x100 pixels in size. Snapizzi has a 100% accuracy rate as long as the coded cards are photographed properly. Give as much care and attention to photographing the Camera Card keyframe photo as you do your Subjects.